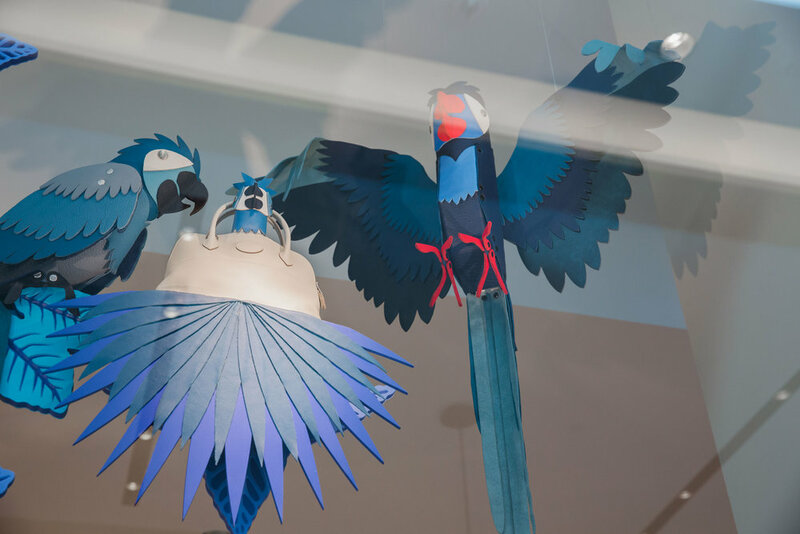 In the top of the jungle canopy, we imagined a home for families of Parrots and their nests. 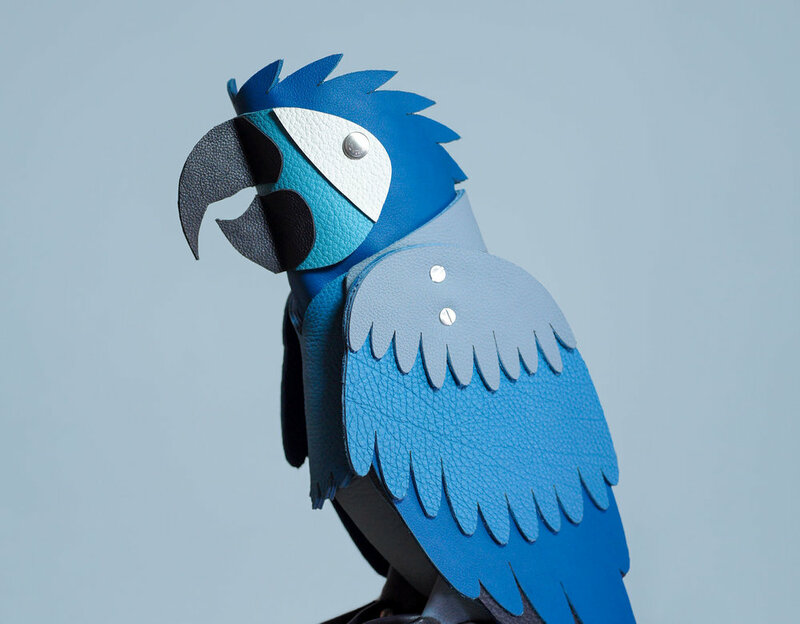 We created four pairs of Parrot parents tending to their babies who live in Hermès bags. 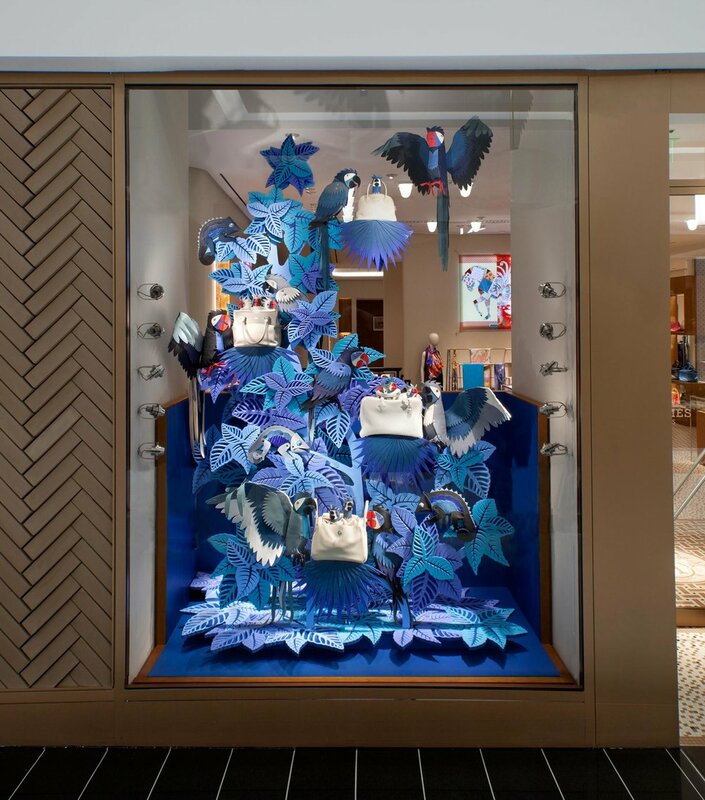 The life sized birds and baby birds are made completely of leather, salvaged from the production process. 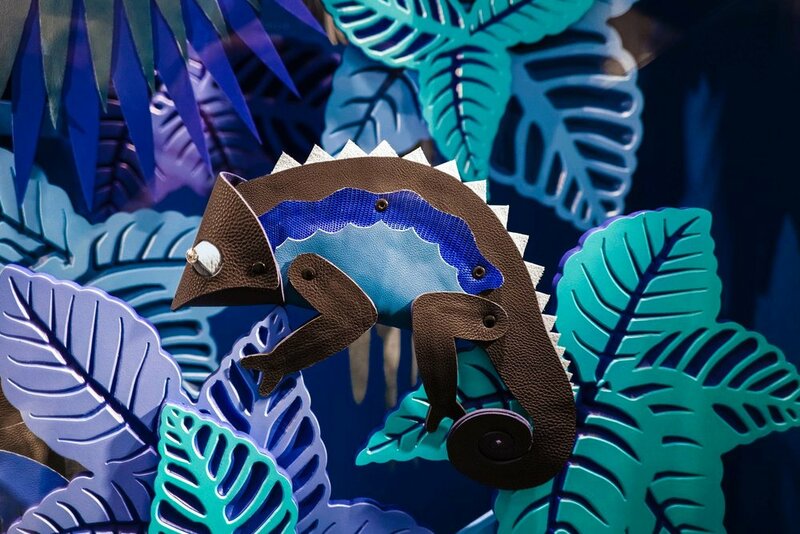 Three leather chameleons are concealed among the leaves.